This is the workhorse 3/8" drill. 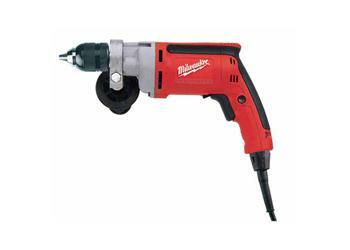 For hole saws, twist bits and light fastening, the 0-1200 RPM unit has speed and torque for maximum versatility. Add the convenience and extra grip strength of the all metal single sleeve chuck and a QUIK-LOK® cord and you have unchallenged value.